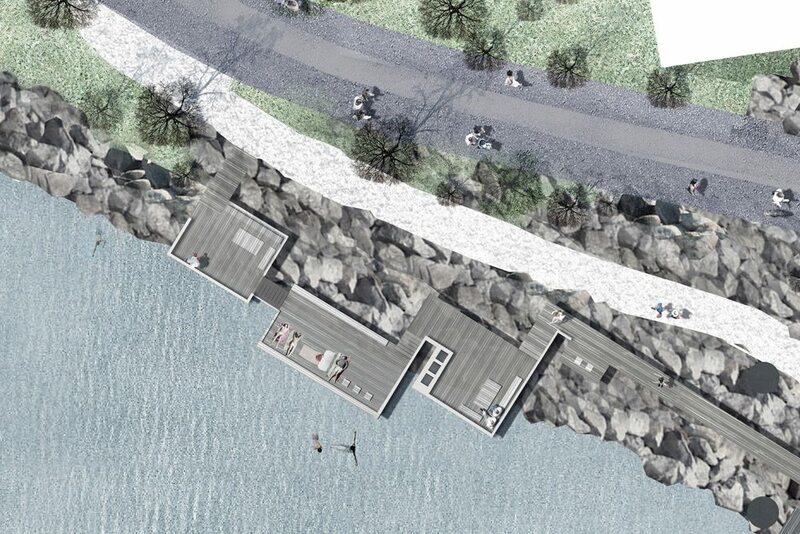 BEaM designed the urban realm for a new development on the northern shore of Storelungeren Fjord in Bergen. 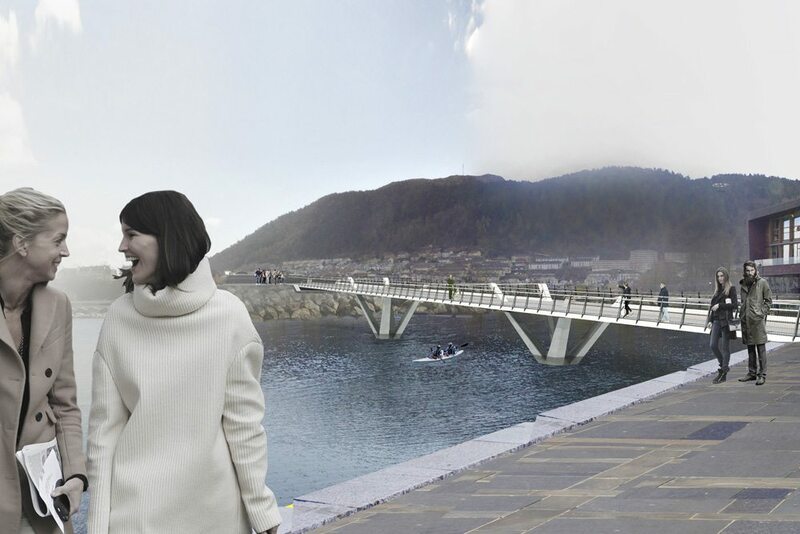 The design includes a new bridge spanning a canalised inlet to complete a continuous waterside promenade and cycle route as well as an urban beach designed to complement the facilities of a newly completed swimming centre. 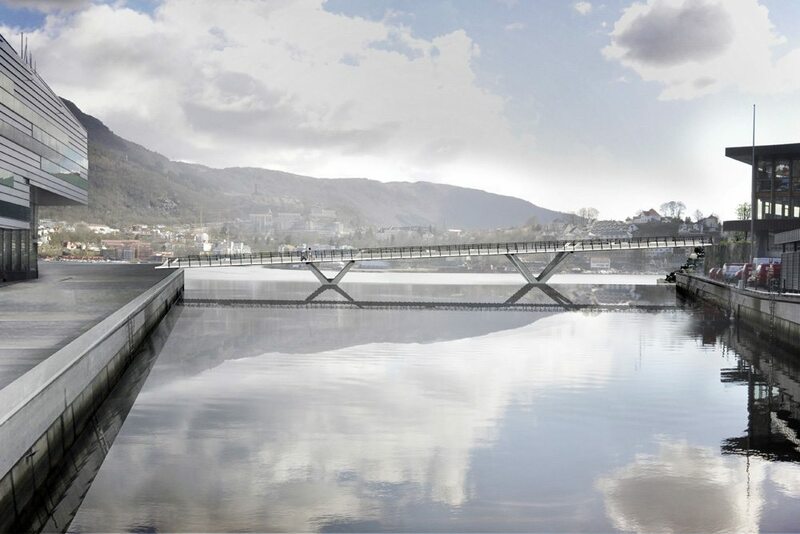 The 80m long three-span bridge springs from a lakeside piazza, following a distinct sloping trajectory across the water. 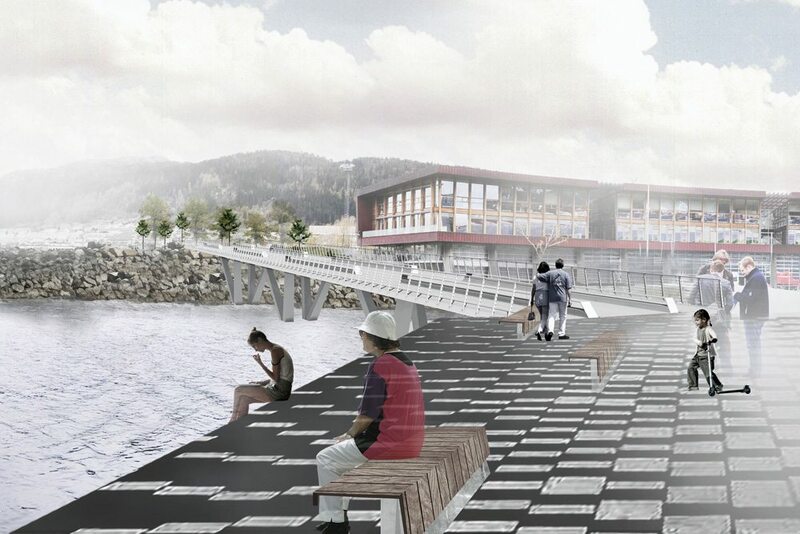 V-piers in the water are connected by longitudinal upstand beams that support and separate outer footways and a central cycleway. 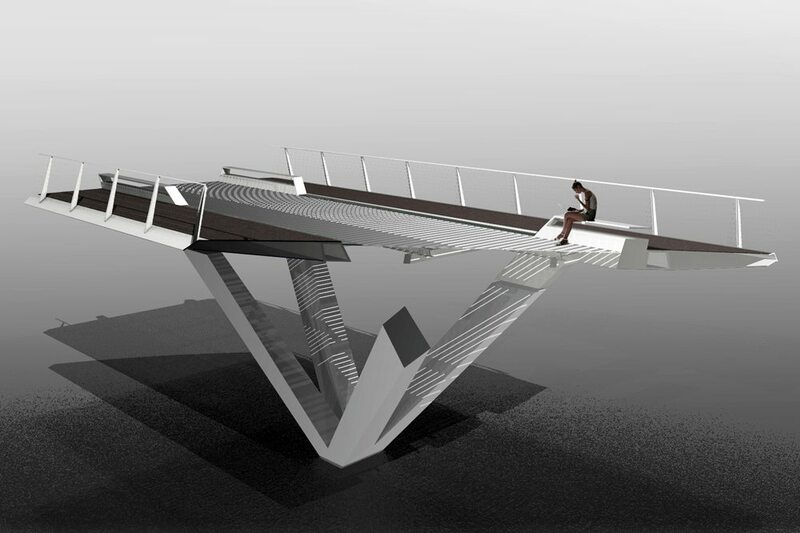 The upstand structure allows clearance for vessel access to the inlet, whilst avoiding obstruction to a planned helipad at the southern abutment.